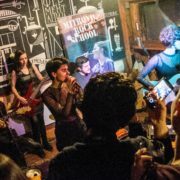 http://www.mitrovicarockschool.org/wp-content/uploads/2019/04/Bo1.jpg 401 602 admin http://new.mitrovicarockschool.org/wp-content/uploads/2018/09/logo-mrs.png admin2019-04-02 19:04:352019-04-02 19:10:16"People here are more invested in the people around them"
ElectraHeart is a mixed band from Mitrovica Rock School. 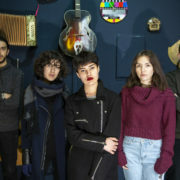 They consist of five members: singer and songwriter Rina, guitarist and backing vocalist Tringa, Jelena, who plays bass in this band, guitarist Egzon and drummer Baton. 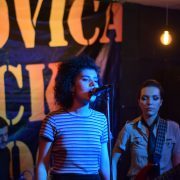 They are a dream team of talented and musically educated young Mitrovica people whose dreamy pop rock sound is incredibly fresh and recognizable. 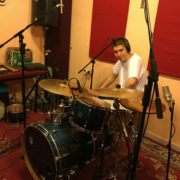 http://www.mitrovicarockschool.org/wp-content/uploads/2019/03/46751622271_75938be7fb_k.jpg 1365 2048 Wendy Hassler-Forest http://new.mitrovicarockschool.org/wp-content/uploads/2018/09/logo-mrs.png Wendy Hassler-Forest2019-03-04 13:11:212019-03-05 09:30:02ElectraHeart: "Girls run everything!" 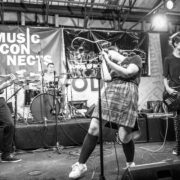 Southeast Europe’s first rock school, the Mitrovica Rock School, is excited to announce the release of the debut album “Voices” from the band High Frequency. 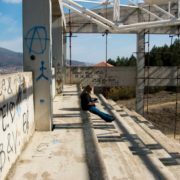 Made up of Albanian and Serb youth from the divided city of Mitrovica and a lead singer from Skopje, Macedonia, the album is the first from an ethnically-mixed band to come out of the school, since its founding in 2008. 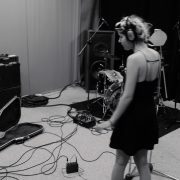 By communications trainee Marina (18), front woman of mixed band Feed D Fury. 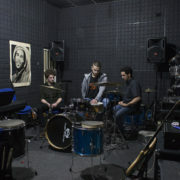 On December 20, mixed band High Frequency went to Skopje to record their first studio album. 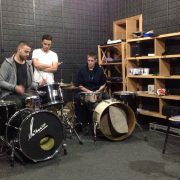 On December 28, four mixed bands headed to Gracanica for a final concert of the year. As 2018 draws to a close, we like to reflect on the lessons we learned over the past year. http://www.mitrovicarockschool.org/wp-content/uploads/2018/10/DSC_0177.jpg 4000 6000 Wendy Hassler-Forest http://new.mitrovicarockschool.org/wp-content/uploads/2018/09/logo-mrs.png Wendy Hassler-Forest2018-10-19 10:13:542019-02-06 10:45:39We're 10 years old! http://www.mitrovicarockschool.org/wp-content/uploads/2018/10/Awareness-One-7.jpg 1080 2048 Wendy Hassler-Forest http://new.mitrovicarockschool.org/wp-content/uploads/2018/09/logo-mrs.png Wendy Hassler-Forest2018-10-16 19:47:432018-10-19 13:39:27Documentary clip "Music Connects: The Real School of Rock"